Cyklus Vancouver is the most innovative indoor cycling studio in BC! 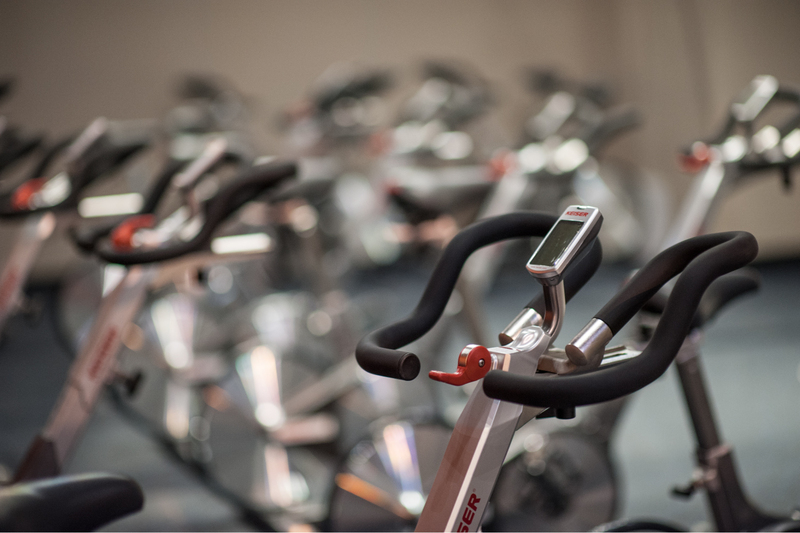 Enjoy group fitness at its best with Vancouver’s finest spin instructors, motivational music and video, and a fitness experience that will sculpt muscles, burn calories, and leave you feeling great. 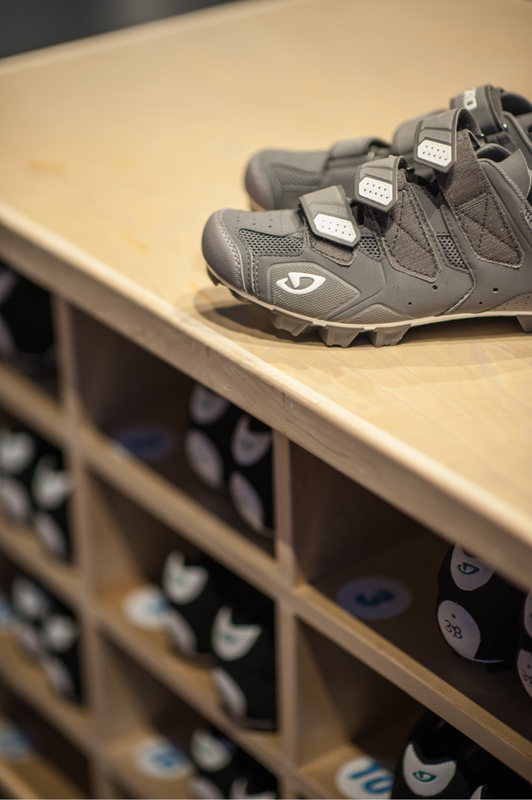 The Cyklus Vancouver experience is crafted around your individual needs. Our low-impact yet intense workouts are adaptable for any fitness level, from beginners to advanced road cyclists. Enjoy the comfort of our brand-new equipment and facilities, including M3i Keiser bikes, cycling shoes, heart rate monitors plus full amenities including lockers, showers, towels and changing rooms. Best of all, we use a sophisticated computer system that links all our bikes together for a virtual team ride. Your performance is saved, so you can stay motivated by looking back at your ride history and seeing the benefits of your hard work pay off with increased strength and stronger you! We are a 2000 sq/f air conditioned indoor cycling and TRX facility. 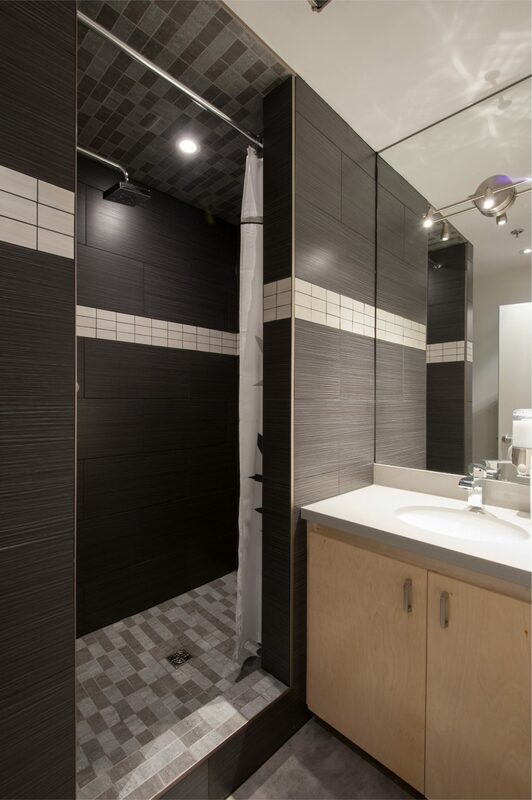 We have three private shower rooms at the back of the studio. There are also three curtained change areas along the west wall of the studio with full length mirrors. In this area (the “change hall”) there are also lockers, benches. hangers and cubbies. Towels are found to your left as you climb the stairs to the change hall. Fill your bottle at one of three water stations located both in the change hall and under the back counter. Lockers… yup. Hair dryers… check. Mirrors… check. Towels and shoes: gotcha covered. The first thing you will notice when you enter our space is our 25 foot high ceiling. This is what makes riding here so comfortable, because the heat you generate goes where heat wants to go… UP! Then, it runs into our roof mounted heat exchangers, and we just push it outside. At floor level the studio stays nice and cool. 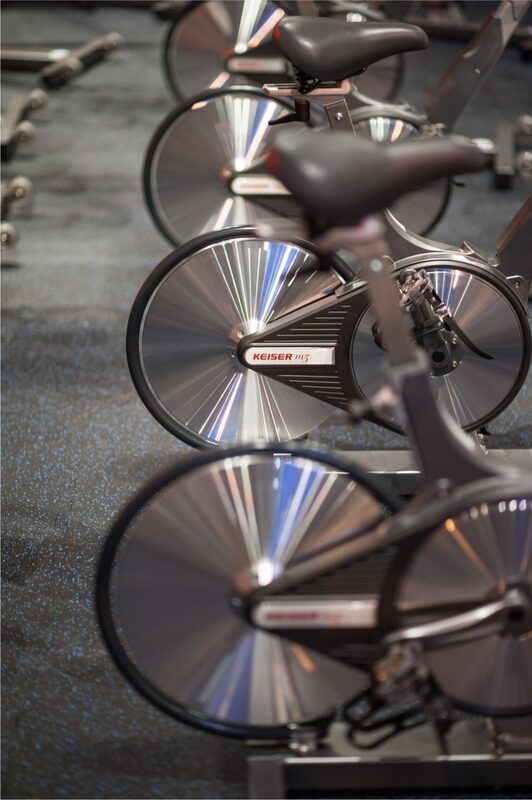 The studio is designed for a quick in and out… just change, set up your bike, and ride! 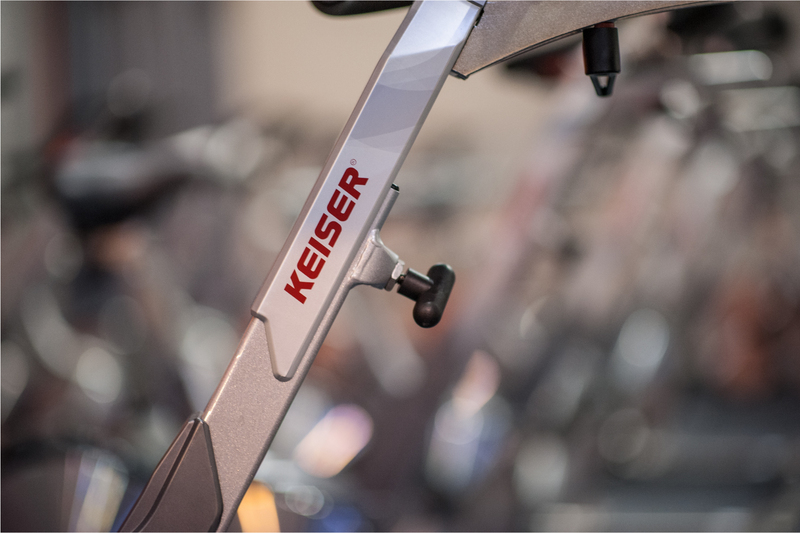 The Keiser M3i. In our opinion, the best, most comfortable bike on the market. 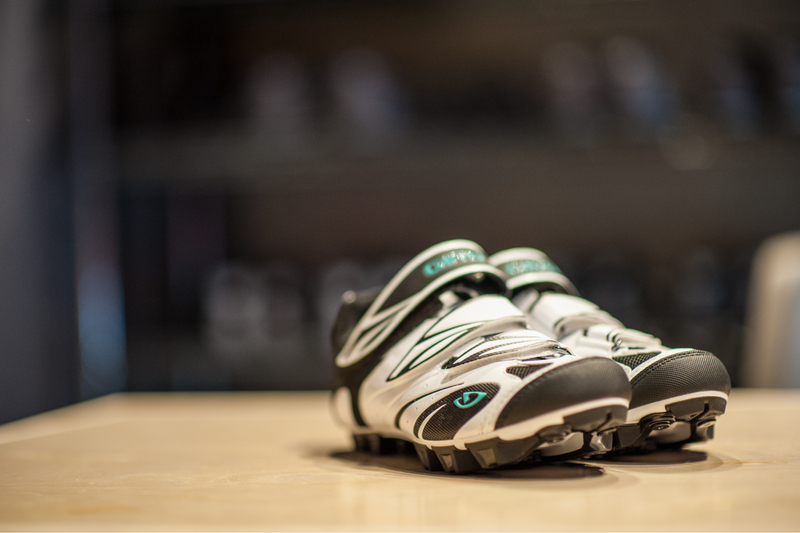 Beautifully customizable, so you get great form & fit, every time. Magnetic, so your resistance is trustworthy and consistent. And it is belt drive to be smooth and quiet. 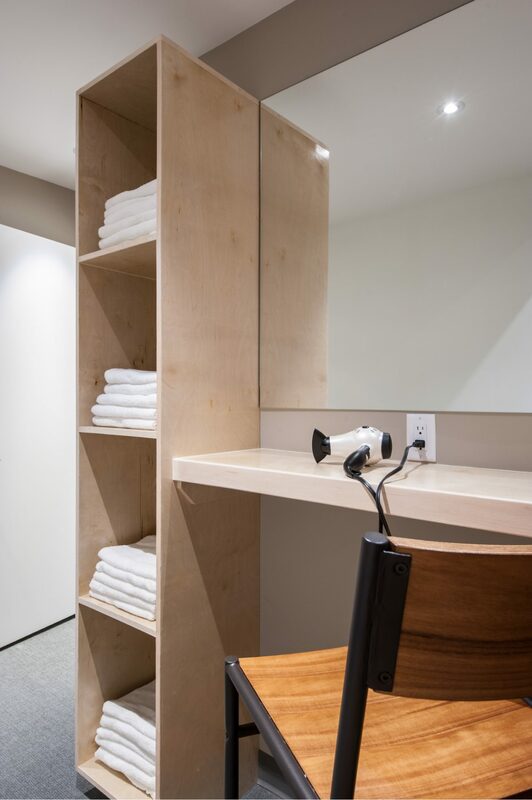 Ours are equipped with bluetooth compatible computers that can even hook up to your smartphone! Riding is so much better with proper footwear. Let us know your size when you register. Your shoes will be waiting for you when you arrive for class. We’re gonna make you sweat, so the least we can do is offer you a gorgeous space to clean up in. Leave the studio fresh for work, play, or a night out. We use premium Skoah products throughout the studio. Use the map to the right to take an interactive tour of our top notch facilities, featuring all the amenities described above.